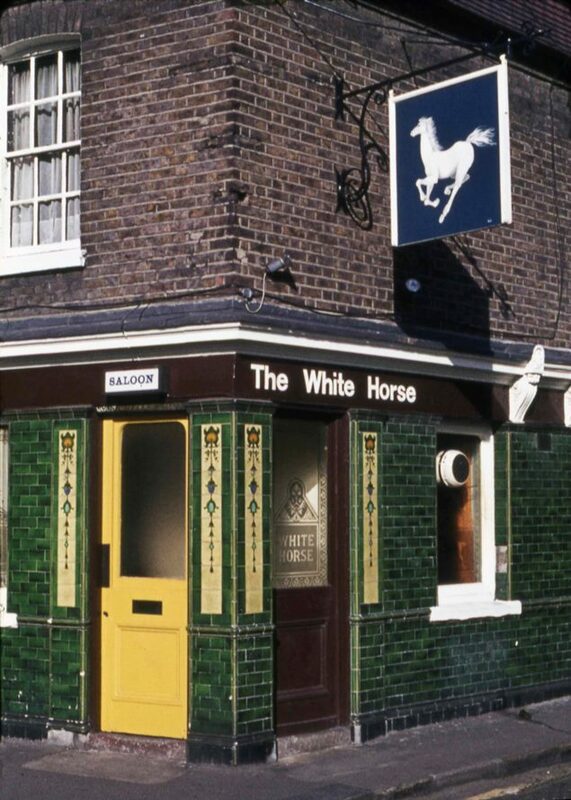 Peter Young took this photo on April 7th 1973, capturing one of the Brentford's oldest pubs, The Weir since 2004, previously The White Horse (back to 1603 or earlier). Brentford and Chiswick Pubs by Gillian Clegg includes a photo from 1911 which shows the green tiling is a relatively recent addition. She notes: 'The pub was acquired by Fuller, Smith and Turner in 1863 who sold it to Charrington's'. Her book also includes a rare interior photo from 1959 showing the landlady Mrs Adams. Janet McNamara provided a photo she took in 2002 as part of her piece about Brentford market. The site also has an early 1900s postcard of the Town Hall which includes a glimpse of the pub.